High above the ancient world of Jedha, the Empire is slowly starting to encroach on the rebel stronghold. 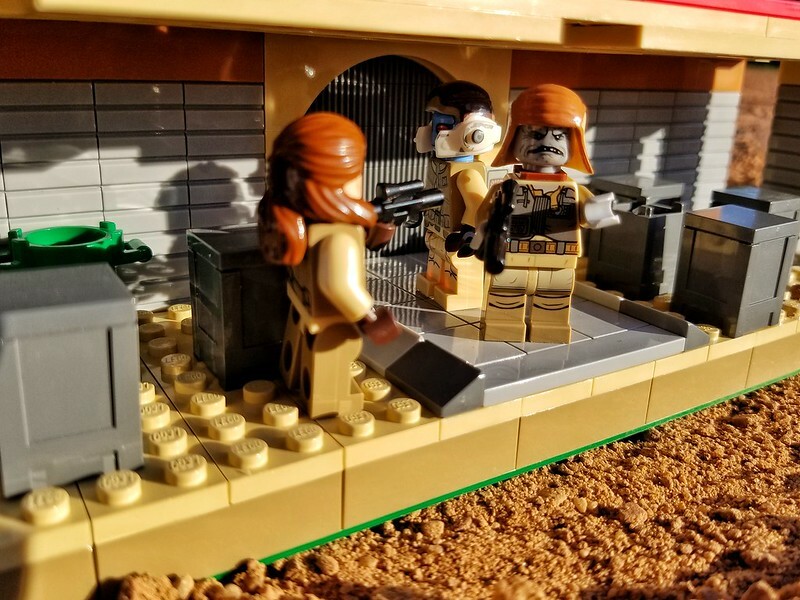 Strong pockets of Rebel Insurgents still hold a commanding presence over Jedha City. The Empire has decided to slowly work its way into the city through means other than warfare as a direct conflict with Saw Gerrera's forces might have unforeseen circumstances at this early point in the game. The Imperials have been planning their full scale assault with Admiral Thrawn having full control of the strategy for when they decide to invade. 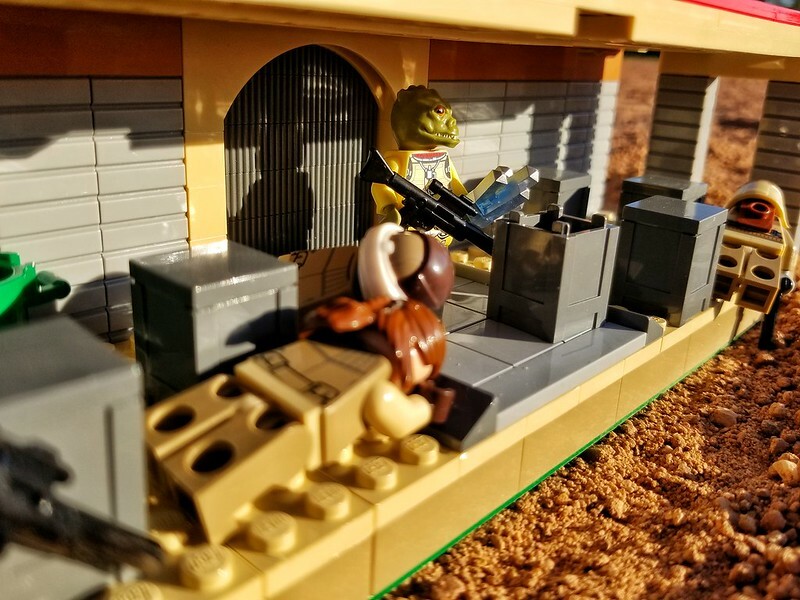 Lieutenant Shrike- Admiral, Your presence is requested on the bridge. 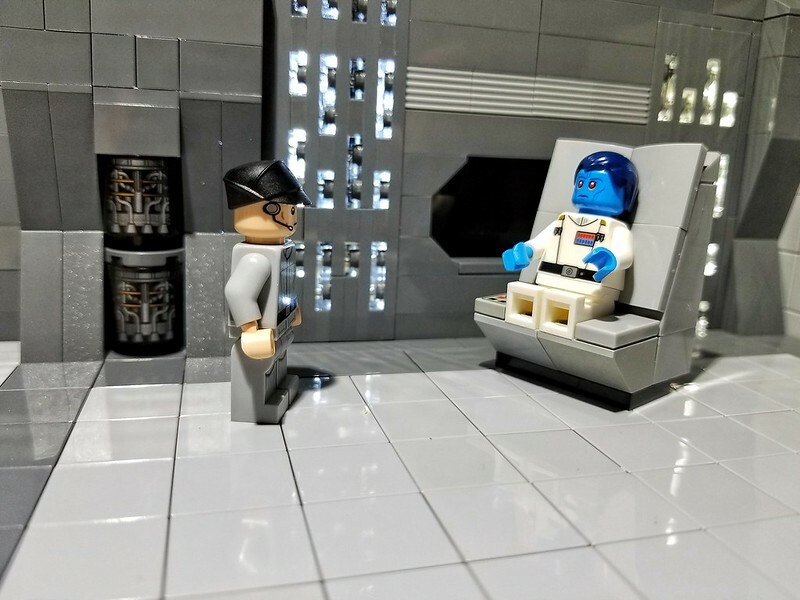 Thrawn: Tell me, what seems to be the issue Lieutenant? Lieutenant Shrike- I was not told sir. The Emperor requested you personally. Thrawn: The Emperor?........ Hmmmm so he decided to pay us a visit prior to our invasion. Very well, I am on my way. Walking through the entrance to the deck, the Admiral walks right into the conversation. Emperor Palpatine: Director Krennic only a fool would be so unwise to let something like this go unchecked for so long. 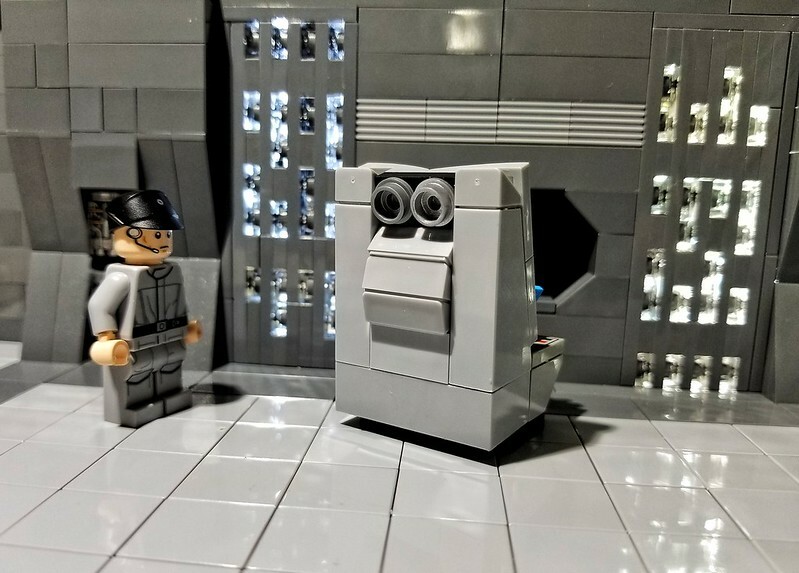 Krennic: My lord this was just brought to my attention. The Kyber project was under the command of Governor Tarkin. Darth Vader: Perhaps you should spend your time trying to fix the problem instead of pinning it elsewhere Director. 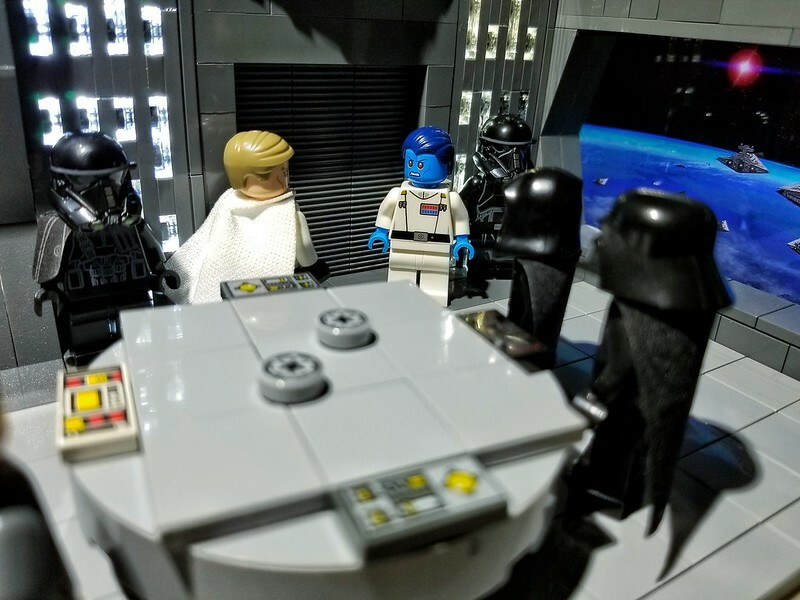 Emperor Palpatine: Admiral Thrawn, so good of you to join us. 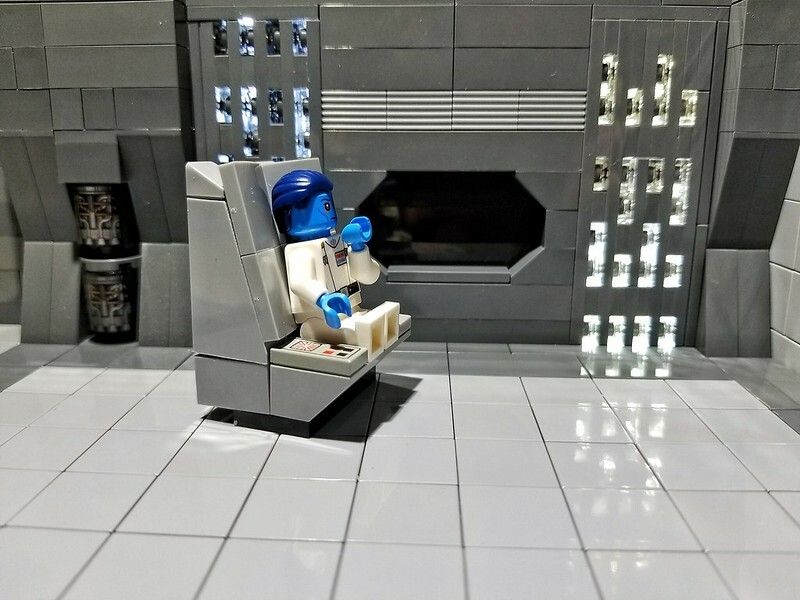 Thrawn: Reporting as ordered my lord. We are honored by your presence. Emperor Palpatine: Admiral, Director Krennic has a problem that we need to solve quickly and quietly. Thrawn: What seems to be the problem my lord? Emperor Palpatine: As someone of your stature is well aware, we've been developing a new weapon to obliterate our enemies across the galaxy. The weapon is powered by Kyber crystals, and that is why we are preparing to take hold of this planet as it maintains a plentiful supply of Kyber. 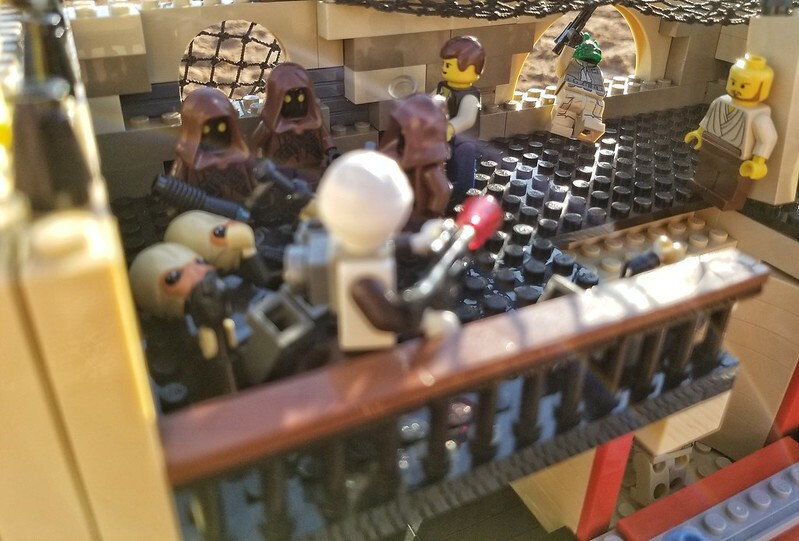 In order to speed up the process of his development, Director Krennic decided he would start using smugglers to remove large portions of Kyber from Jedha City under everyone's noses. A group of rebels intercepted a large shipment of the crystals and have taken them somewhere outside the city. Thrawn: *Looking at Krennic* And, in what way, do you feel I can be of assistance? Emperor Palpatine: Your skills have been quite invaluable on the battlefield Admiral, perhaps you can propose a solution to this mess as well? Krennic: *Getting Angry* Emperor, I have everything under control. I just need more time. Darth Vader: If that were true, we would not be having this meeting director. Thrawn: I can solve this problem my lord. 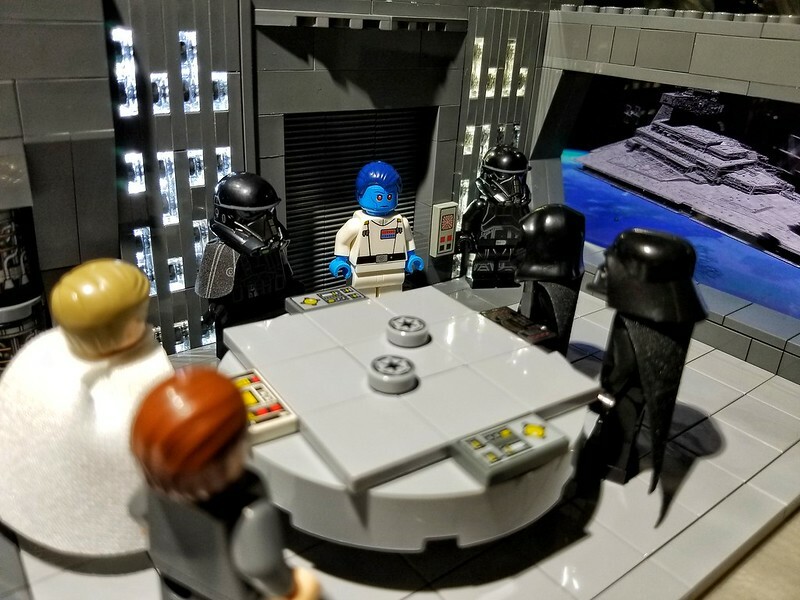 Thrawn: I will need all of your intelligence on this situation brought to my war room immediately Director. Krennic: *Brushing past Thrawn* So be it Admiral. Greedo, one of the bounty hunters assigned to the job stood outside the building and waited for instruction. Thrawn: *Into the Commlink* That's it, the rebels and the kyber are there. Greedo: Yes, Rodi... how did you know that? Thrawn: Greedo, it appears they left their welcome flag outside. Did they not? Greedo: Yes rodians leave a string of dishes in an elaborate pattern strung up on cables outside their homes to let others know they are welcome. Thrawn: Yes, a nice artful gesture. One that will be their end. You know what to do. 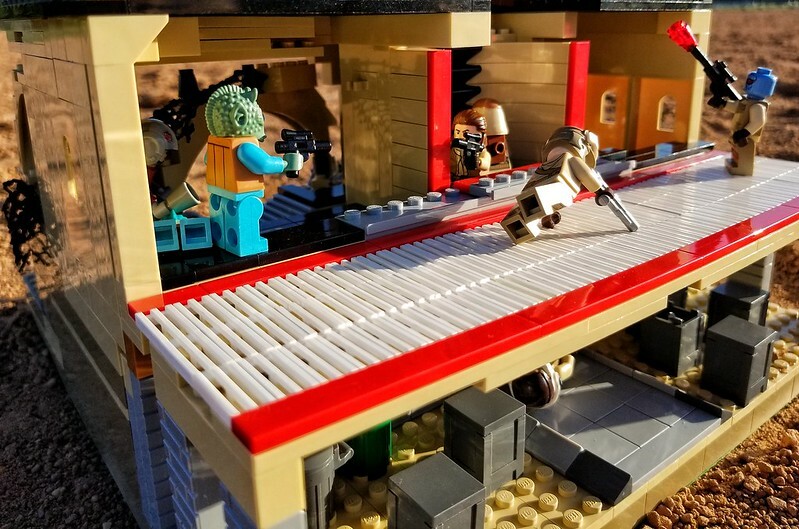 Greedo entered the bar with his pistol drawn. His fellow bounty hunters Bossk and Dengar scaled the wall with hopes of getting into the bar from the upper level. 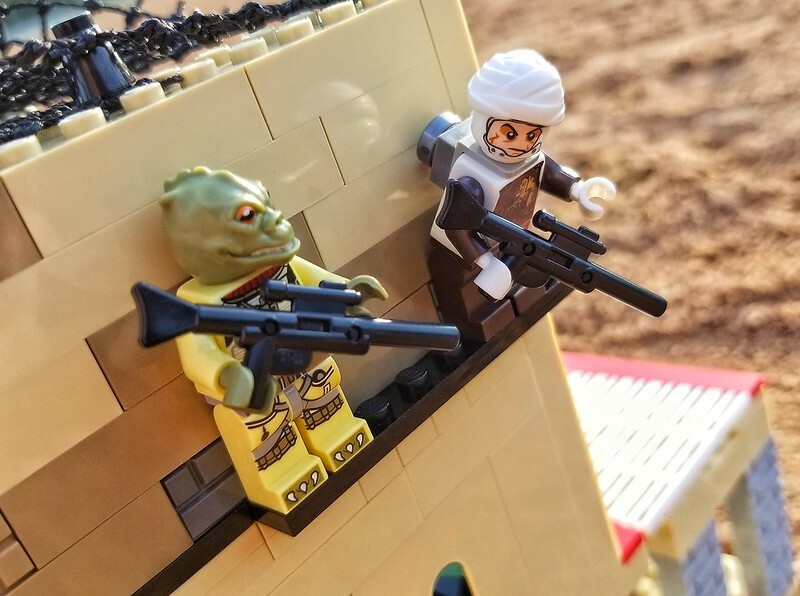 The two climbed in shoving aside a band that was playing and instantly found one of their marks, a rodian rebel who was already raising his blaster when they dropped him. 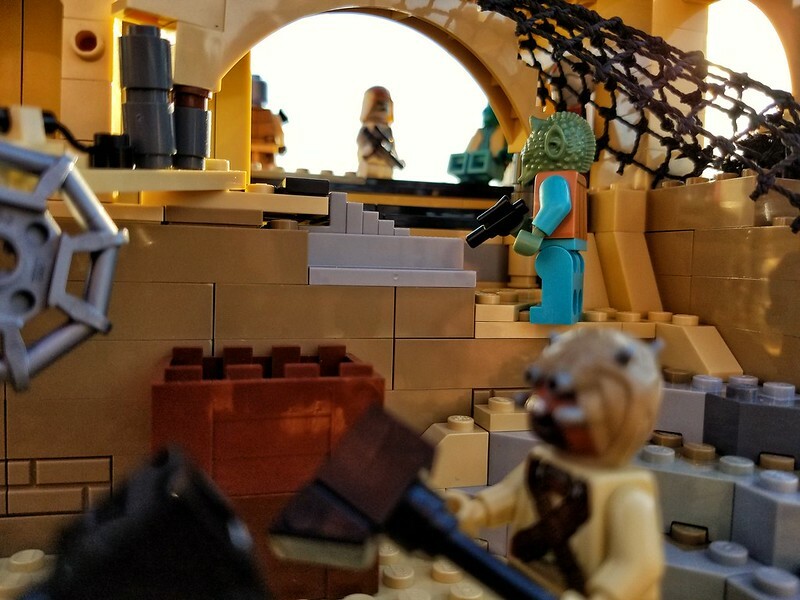 Greedo made his way through the bar taking out a single rodian as well before engaging a group of rebels trying to flee down a ladder who were already taking fire from Bossk and Dengar above. 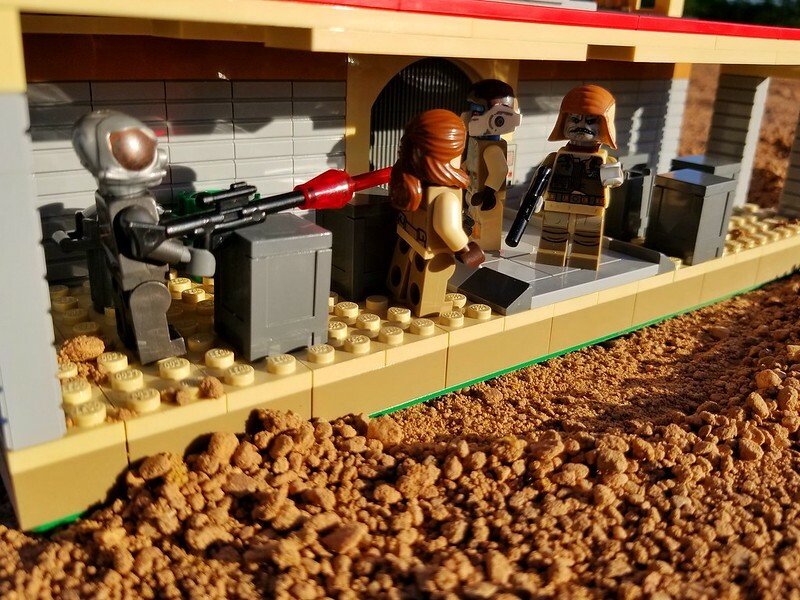 Some of the rebels managed to get into a basement tunnel . Pao: See! I told you those Rodians were no good to us. They were into some kind of trouble and brought bounty hunters here. Before they could do anything another bounty hunter, 4-Lom, caught them totally off guard and started blasting away killing two of the rebels while one managed to slip away just before Bossk arrived. Bossk: *into the commlink* Admiral Thrawn, we got the Kyber. When do we get our money? Thrawn: When the empire is back in possession of the Kyber. I am dispatching a recovery team now. I'll notify the emperor. I love this! 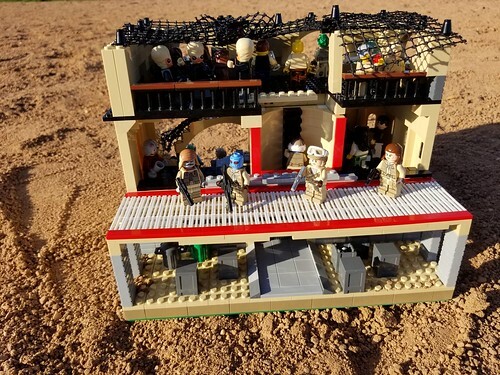 The use of the GIF is amazing, and I love the fact you've taken pictures in the real world, blends the MOC in really nicely. I love the fact you've taken pictures in the real world, blends the MOC in really nicely. Thank you. 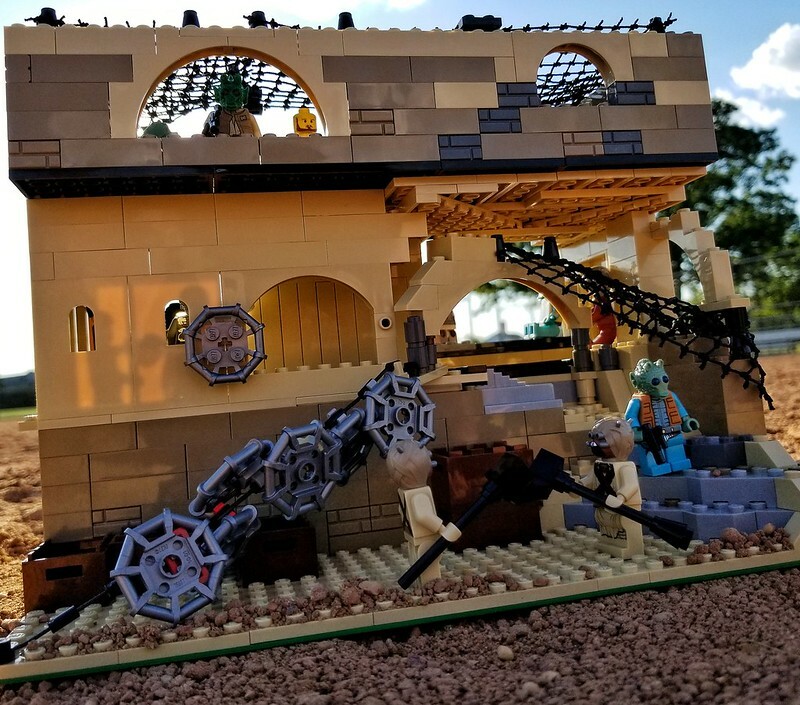 I've wanted to do that with a star wars MOC for some time now. 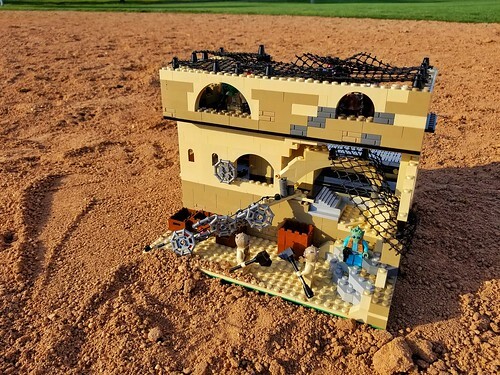 May do more if I get around to my Tatooine build before the weather changes. 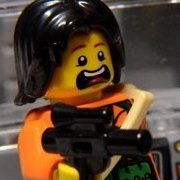 I just did something similar with the Gif and in real water for Great Brick War which worked out nice. Very well done. I think we may already have a winner here. Thank you, but there are a lot of nice builds here and I'm sure some more talented people are sure to post up. Don't count anyone out yet. Don't forget to post in the contest thread with a link to here. I didn't see a link to this thread. Thank you for that, probably saved me a headache haha. The 2 locations on the ship are connected. I may post some overall photos in a spoiler when time permits to upload them. Got a few requests from people here and in PM to see the whole build. These pictures are purely supplemental, they are not meant to enhance anything as the deadline has passed. Great couple of builds - I really like the Star Destroyer interior ones (love the "thinking Thrawn" pose too!!) A well deserved winner! !